Toilet Rentals in Petersburg | A & S Enterprises, LLC. A & S Enterprises, LLC is proud to be your local septic pumping and toilet rental expert. We specialize in portable toilet rentals for any type of occasion and septic tank pumping for any residence or business. Our knowledgeable professionals have been providing top quality septic pumping services and toilet rentals in Petersburg, WV for more than 20 years. Since 1994, A & S Enterprises, LLC has been the number one source for toilet rentals in Petersburg, WV. We specialize in toilet rentals, hand wash station rentals and septic pumping, and we’re proud to serve our communities needs in these areas. Whether you’re preparing for an outdoor wedding or setting up for an upcoming church festival, we’re the best place to call for affordable hand wash stations and Porta Potty rentals in Petersburg, WV. 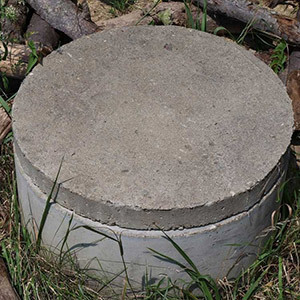 If something’s gone wrong with your residential or commercial septic system, we can help you with that as well—septic pumping is another service that we are well versed in handling. We specialize in providing event toilets in Petersburg, WV for any event. We have been in business for over two decades. We are licensed by the West Virginia State Health Department. We are West Virginia Health Department approved.